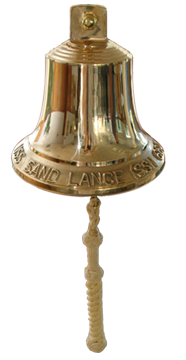 The USS SAND LANCE (SSN 660) website is dedicated to the U.S. Naval Silent Service crew members, who took her from the drawing board and brought her to a very active and noteworthy service life. The SAND LANCE truly was a Defender of Freedom; it played an active role in the "Cold War" and served our nation well! Please note the various awards and commendations that are posted under the "Historical Records" link. These documented accomplishments give credibility to the caliber of the crew and the technical capabilities of the USS SAND LANCE (SSN 660). Like any event in history, the USS SAND LANCE (SSN 660) will be remembered for years to come through the involvement of her faithful and dedicated crew and their family members and friends. These pages contain factual information and many, many memories from the crew who wish to comment and share their personal thoughts about their experiences aboard this boat. Upon notification, we will post the names of crew members on "ETERNAL PATROL" in Honor of both their Military and Civilian service to our country.